Recently, when I tried to see the value of NZD (New Zealand Dollar) against other currencies, I was shocked to see that it valued so much in comparison to EUR. I didn't know NZD had valued so much in recent years but something didn't feel right. Although Google does a good job of highlighting the relevant search result, I think this has gone too far. Notice how the conversion rate is highlighted in bold and bigger characters in a mobile search result on an iOS device. 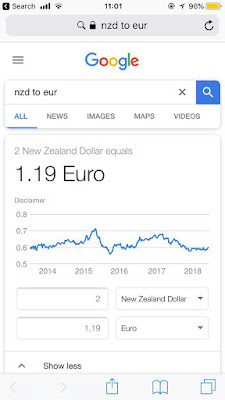 On a quick look, it certainly feels like 1 NZD = 1.19 EUR, which might make some New Zealanders (temporarily) happy. If you notice carefully, it has converted 2 NZD to EUR which I didn't ask for. I thought this was probably due to simplifying the result instead of giving a 0.59 value. However, I checked back on my laptop which had different results. I noticed this issue while playing with my new keyboard. I have reported to the retailer I bought it from and also emailed CoolerMaster (support@coolermaster.eu). 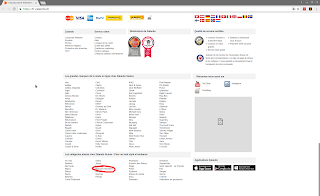 I encountered this issue while looking at Zalando's websites for different countries. On their homepage (after redirecting to their country specific website), you can view the 'Top Categories" which were browsed/viewed by users across the Europe/Worldwide. I noticed that something was weird with the list as I saw "nicht verfugbar" on the Zalando.de website, which means "not available". Curious to know, if that was just one isolated incident on Zalando's German website, I checked all of Zalando's website and found similar occurrence on multiple country specific websites. The only country specific websites which did NOT have such issue were located in countries such as Norway, Sweden, Finland, Denmark etc. I know it looks silly typo but when you are Google, you should be careful in every thing. I tried to report it to Google via twitter and chrome feedback but no response from them yet. It's still there as on Mar 6, 2016. Someone being lazy and (less excited) at @google #404 error page. (! !1) @googledevspic.twitter.com/iUspfGNT0q — Aakash Sharma (@AakashYSharma) March 5, 2016 Update: 17-Jan-2017 The typo still exists! Update: 26-Apr-2017 The typo still exists! I found this bug in chromium / chrome browser which probably will affect someone (maybe no one). I'm still struggling to get a hold of Google hangouts. It's supposed to be cool and awesome. But, I found it little annoying at times. Specially, it fails to show the current status of my friends in the list. This morning I pinged my friend to chat about something. Again, he wasn't shown online. Moments later, he pings me back and a new chat window pops up? Why? Was he using a different ID? NO. Why does it happen? I'm not sure if I would get a reply on this one. But logically it seems (from the recent behaviour of hangouts) that every chat is part of conversation ID (when they were busy copying others). So, a different conversation ID, leads to a new chat window. But should that be a conversation ID? I don't think so. I've noticed this many times in office, when I'm connected between fluctuating WiFi network (as I roam around), the nice feature of "Update apps over WiFi only" gets into action. I use a 2G/EDGE data connection when I'm not in office which is quite costly per mb of data. Well, the bug with Google Play app is that, once it starts updating app over WiFi, it doesn't stop if WiFi is lost. This has caused my cellphone bills to shoot up because I'm not aware when a WiFi connection is lost inside office. I believe even by design it should detect what kind of signal you are on and decide actions based on that. Using connected to WiFi as trigger point and not handling situations when WiFi is lost, would have costed many users. I'm not sure if people have already logged this against android. Well, I've logged it as Issue 53090. Thank you Google. 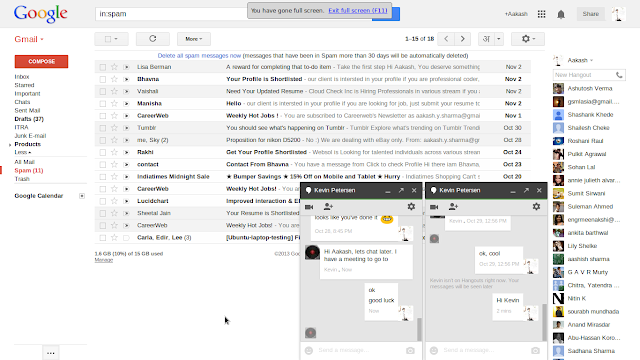 I received following response from Google Play support team.